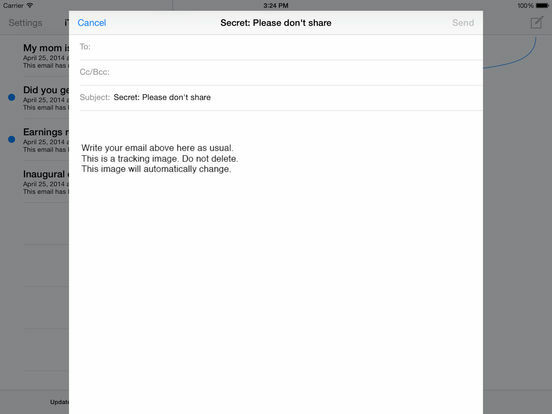 Want to know if people are reading the emails you send? 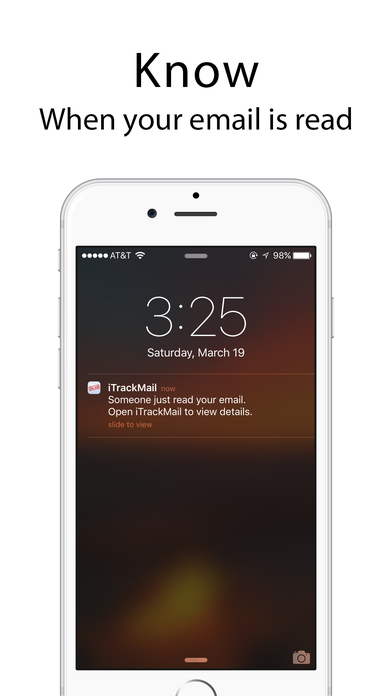 iTrackMail will let you know whenever someone opens your email! 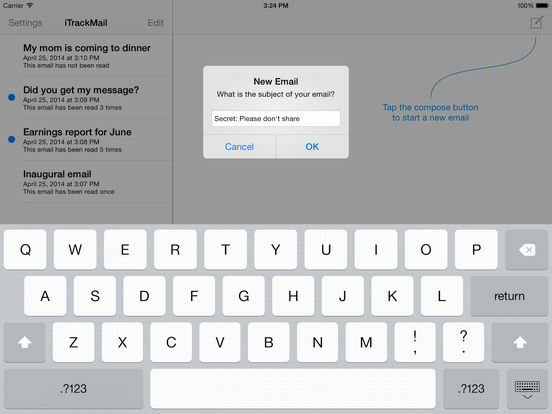 Tell iTrackMail the subject of your email, write your email like you usually would, and press send! iTrackMail will do the rest! 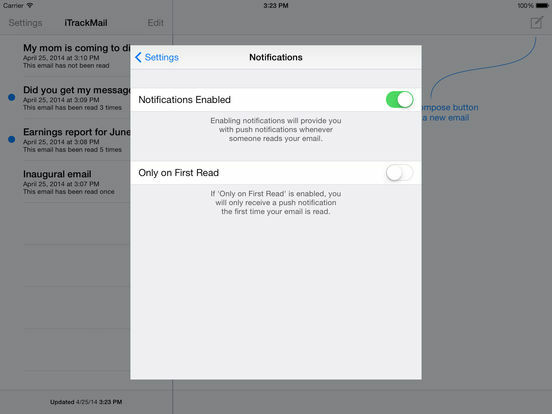 When someone reads your email, iTrackMail will send you a push notification! Yes--it is that easy! iTrackMail will automatically record the date and time of the receipt as well as rough estimates of the Country, Region, Platform, and Browser of the recipient. You will be able to tell if more than one person read your email! iTrackMail is FREE, so try sending an email and you will be pleasantly surprised! Note: Not every email client is compatible with iTrackMail's methods. In some cases, the recipient will have to agree to "display all images" for your email. Now you can share your email receipts online! 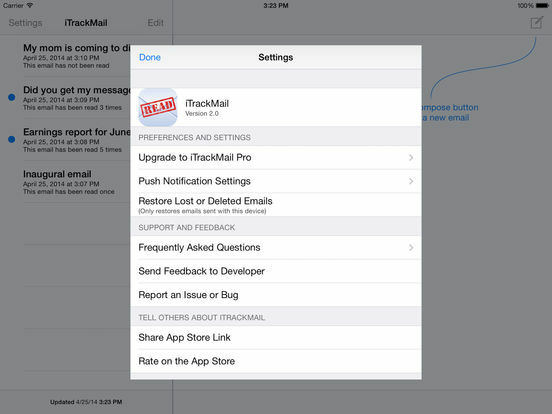 iTrackMail is more reliable than ever! Simple and very easy to use!